Endtime Ministries presents an excerpt from the August 24th show with Irvin Baxter. Visit Endtime.com/radio to view the entire show. After the revolution, Ayatollah Khomeini had decided to abandon the Shah’s nuclear program, begun in the 1950’s under President Eisenhower’s Atoms for Peace program, because Khomeini felt that going forward with the program would require too much of a dependence on Western assistance for components and expertise. Then-prime minister Mousavi and Hashemi Rafsanjani were key supporters of keeping the nuclear program going. Mousavi, like all other major Iranian politicians, is opposed to suspending the country’s nuclear-enrichment program. He does not link nuclear enrichment with a nuclear weapons program, however, and seeks to pursue dialogue with the West from that principle. Last year Mousavi said he will push ahead with Iran’s nuclear activities and will never halt uranium enrichment. “No one in Iran will accept suspension,” the Financial Times quoted Mousavi as saying in his first interview with the international media. 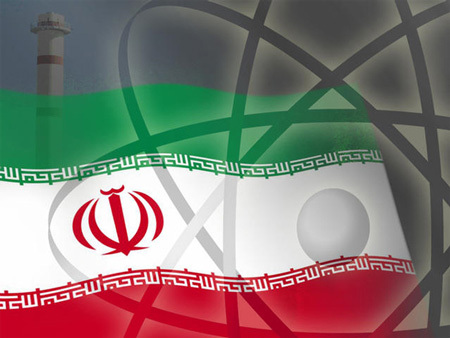 One of the documents revealed that the then-head of Iran’s atomic energy organization requested Mousavi’s approval for purchasing the centrifuges on the black market. Iran subsequently acquired the centrifuges through the smuggling ring of Pakistani scientist Abdul Qadeer Khan. The document from March 1987, classified as secret, said that Iran’s then-chief atomic energy official said Tehran’s activities related to Khan must remain secret. The document appeared as part of a quarterly report the IAEA issues as part of its supervision of Tehran’s nuclear program. 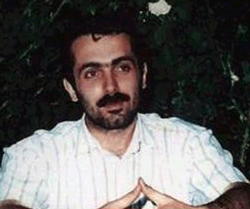 Mousavi had a direct role in the arms-for-hostages scandal known as the Iran-Contra affairs that involved secret negotiations between the Reagan administration and the Iranian regime to secure the release of American hostages held by Hezbollah in Lebanon. Mousavi worked closely with Khamenei, the president at the time, bargaining for 504 high-powered TOW anti-tank missiles (for use in the Iran-Iraq war, in which the United States supported Iran’s enemy) while promising to release hostages in September 1985. On 9 February 2003, President Mohammad Khatami broke with the previous position and emphatically states that Iran control the entire fuel cycle of the Busheher reactor, to include the development of indigenous fuel and not sending the spent fuel to Russia. He also declared that Iran was engaged in mining uranium reverses as well as building uranium-concentration and conversion facilities and fuel fabrication plants. Mohammad Elbaradei visited Iran on 20-21 February 2003 and met with officials across the political spectrum, including President Khatami, Majlis Speaker Mehdi Karroubi, and Chairman of Expediency council Ali Akbar Hashemi Rafsanjani, all of who expressed the commitment to develop the entire nuclear fuel cycle. After accepting the framework of the proposal but also seeks few changes to it, Mousavi said “The discussions in Geneva were really surprising and if the promises given (to the West) are realized then the hard work of thousands of scientists would be ruined,” Kaleme website quoted Mousavi as saying, in a clear reference to the fuel plan. “And if we cannot keep our promises then it would prepare the ground for harder sanctions against the country,” he said in a meeting with pro-reform cleric Mehdi Karroubi, Kaleme reported. Actually what reformists did was sharpening the Atomic Knife and after that gave it to Ahmadinejad to make use of.